Help your employees "do the books" by giving them this handy 2-sided gift! 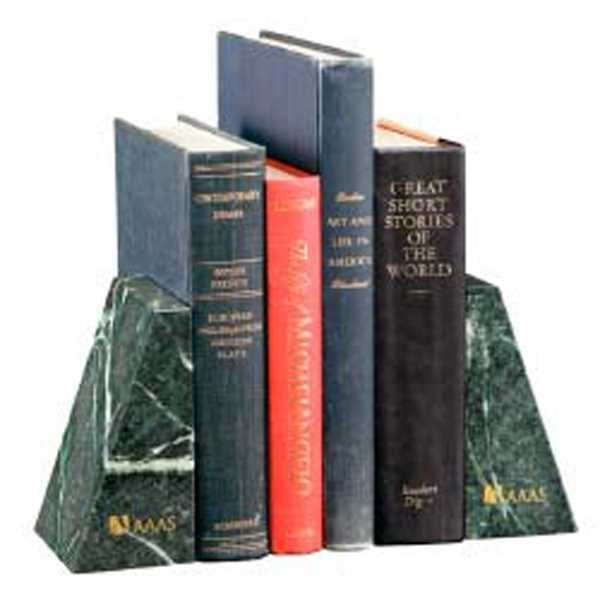 Our Verde Marble Bookends are the perfect gift for anyone with some books but nowhere to put them. The texture and weight of marble go well with every office decor. The size, color and veining of each marble piece will vary. Measuring 2-3/8" W x 5-7/8" H x 4" D, each piece displays your logo or message. Great for the health and education sectors. Order yours today! Size: 2 3/8 " x 5 7/8 " x 4 "